Every spring the monarch butterfly migrates thousands of miles in search of the ideal milkweed plant. When she finds it, she lays her eggs on the plant, so when each egg hatches, the baby caterpillar can feed on the milkweed leaves. The milkweed plant then provides the perfect protection as the caterpillar turns into one of nature's wonders, a chrysalis, before transforming into an even greater wonder: a monarch butterfly. And once the newborn butterfly soars away, the milkweed seeds fly away on the wind and start this cycle over again. 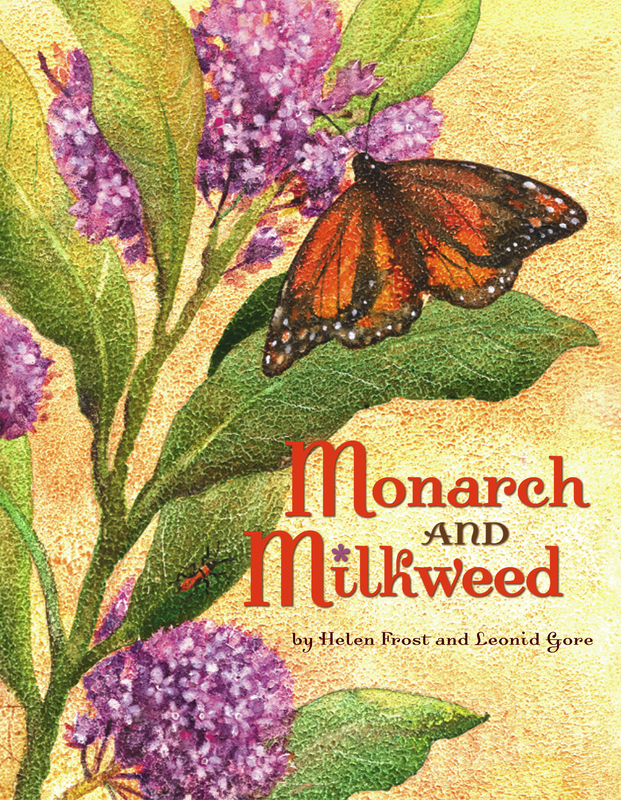 The exacting prose and jewel-toned illustrations echo the harmony of monarch and milkweed in this carefully researched book, explaining one of nature's most spectacular displays in a refreshingly simple manner. Helen Frost won a Michael L. Printz Honor for her novel Keesha's House. She is also the critically acclaimed author of The Braid, Spinning Through the Universe, and Diamond Willow. She has delighted in watching monarchs for decades, and now lives in Fort Wayne, Indiana, where her yard is a certified Monarch Waystation. To learn more about her go to www.helenfrost.net.